This was released today. Go check it out! Click your avatar in the upper right section of the header. Start updating your profile page if you haven't yet. More updates to come! Thanks Kyle - that works well. I have been in Contributions but I do not use Certifications much and so did not look there. Thank you. I would like a place to go find all comments I have made in group discussions. Does that exist? The fastest way to do that is by using the "Contributions" tab on your profile. 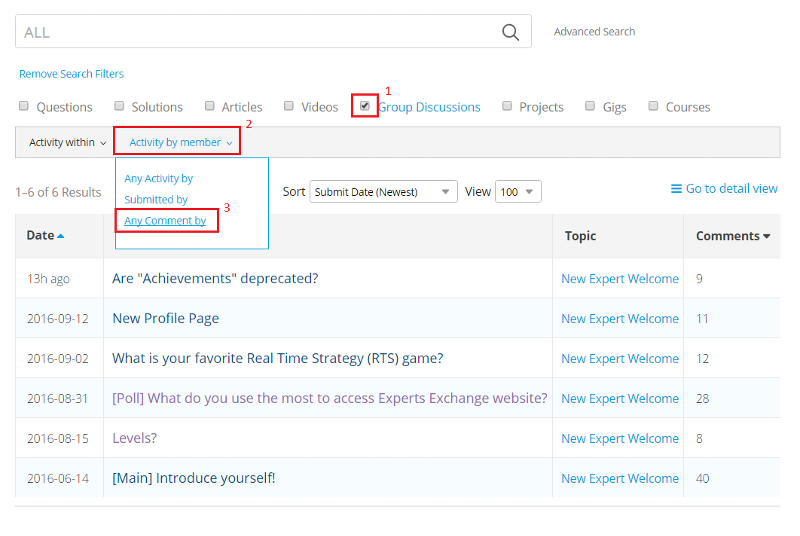 Filter by "Group Discussions" then use the "Activity by Member" dropdown to select "Any comment by". This should give you the list you're looking for. If it's something you think you'll use often, I can show you how to create a saved search with a few more clicks.